Tonight we will discuss divestment campaigns to close down private prison corporations and name the names of the biggest financial investors in 21st Century Slavery and Human Trafficking. Tonight's abolitionist's profile is Anthony Burns (31 May 1834 – 17 July 1862). In a new campaign the ACLU takes on Prison Profiteers in a media educational blitz and NAR offers our perspective. Collaborating with private prisons like the GEO Group California Governor Jerry Brown is poised to traffic 4,400 men in order to meet US Supreme Court demands of prison reductions. The men will generate an est $220,000,000 annual windfall for the prisons. Highlighted in this week’s Overseer Chronicles will be the 2012 death of John Loxas who was standing outside of his home in Scottsdale Arizona with his grandchild in his arms when Officer James Peters fired one shot to the head, killing him. Tonight's abolitionist's profile is Daniel Alexander Payne (February 24, 1811 – November 2, 1893). Tonight's abolitionist's profile is Lewis Tappan (1788-1873). Herman Wallace, a former Black Panther member and political prisoner was reportedly released from prison after a judge ruled his grand jury indictment 41 plus years ago for the murder of a prison guard violated his 14th Amendment rights. He was housed in solitary confinement for 41 years in Angola Prison, the infamous prison which was a brutal slave plantation. 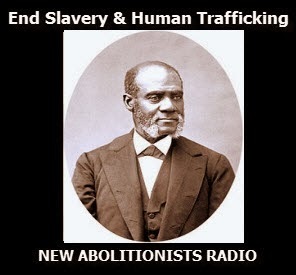 The International Day for the Abolition of Slavery will be taking place December 2nd and while there is no doubt about the evil of Global Slavery, we at New Abolitionist Radio believe that the prison slavery being practiced in the United States of America should be included in the campaign. Highlighted in this week’s Overseer Chronicles will be the Overseer himself. We’ll discuss him and share a few words from LRJ of LRJTV on youtube. Our abolitionist in profile will be Henry Highland Garnet 1815 – 1882.